This office is in a safe and lively neighborhood. There are many restaurants and many choices to go shopping. If you love to read books nearby there is a bookstore called Libreria Gandhi and you can go buy a book to learn more about your industry or just for the pleasure of reading. There is also many hotels if you have clients meeting your from another country or traveling from another state. Or you have an option to rent Airbnb at this beautiful coworking space in order for you not to feel stress driving to this office. You can wake up and go straight to work. There are many parks walking distance and you can go for a walk or a run after work in order for you to keep a healthy lifestyle while you build your empire. Close by there is also a gym called Florencia Health Club where you can go exercise after work. There are many options to exercise. nearby. This is really an energizing neighborhood where you can find anything you need in walking distance without traveling far. The location is close to parks, hospitals and pharmacies. On your lunch break you can take a small walk to any of the fast food restaurants or any upscale restaurants. There is also a Wal Mart in walking distance if you need to guy buy any last minute products for your project. Anything you every possibly need is in walking distance from this location. This center is located on the edge of Guadalajara Country Club and shares its space with an executive hotel that spans the first seven floors. The building has a helipad, sky-pool and fitness center and there are a number of furnished offices with 24-hour access available. Two spaces that can be used for either offices or showrooms available in this modern building with beautiful views of the city. 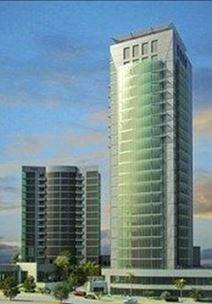 Located right in front of EXPO Guadalajara the spaces can be supplied furnished if required. In the heart of the Andares Shopping Center these offices include Wi-Fi Internet, meeting rooms and a variety of other business services. Businesses can take advantage of being situated in a zone that is showing the fastest growth in the state of Jalisco. The regional transport links are also excellent and provide all prospective tenants with a wide range of convenient and frequent transportation options in operation throughout the locality. This serviced office is part of a well-organized mixed-use development which also features high-end hotels and restaurants, along with retail and a hospital. Offices are light, spacious, and feature the latest in business amenities to provide a quality working environment. The regional transport links are also very good and regionally renowned as offering exceptional connections throughout the region, which makes this center easily accessible. This modern building offers a wide range of business solutions to assist your company and help it grow. You will find a great business professional atmosphere to thrive in. The on-site management team is available to assist your office with any situation that arises. Flexible leasing terms are offered at this location and pricing will vary depending on the type of office selected. Located in a great area that continues to grow. Conveniently located in Guadalajara's financial district, these modern office spaces benefit from a prime business address. Available in various sizes, they can accommodate any of your needs and offer a uniquely professional working environment. Fully furnished and provided with advanced technology and professional support staff, these offices are immediately available. Within walking distance of the most important streets of the city, they are surrounded by a variety of amenities. 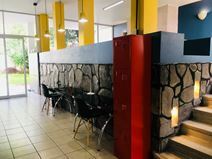 This wonderfully fitted and luxuriously renovated business installation is set in the vibrant commercial heart of the area, near to the locally renowned and highly popular Plaza Andares and its excellent variety of surrounding attractions and local services. The immediate locality features a multitude of amenities and includes number of excellent local restaurants, bars, luxurious hotels and accommodation, as well as convenient transport links. This imposing serviced office center provides a large range of executive office suites, fully equipped to meet the demands of modern business. Surrounded by many superb restaurants and other amenities, this center enjoys a prestigious location. 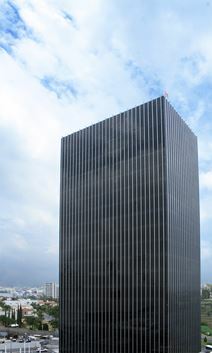 A prestigious business centre in Guadalajara, Mexico. The centre is fully furnished, and overlooks a country club. 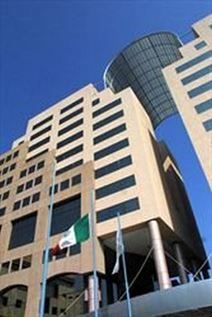 It is situated in the financial district of the Guadalajara, and nearby are branches of all of the major banks. There is also a range of different restaurants in the vicinity, and hotels within short driving distance. 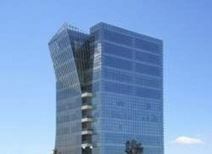 Office space available in Guadalajara's Intermex Business Park. These serviced offices come with reception and IT support, and the centre has such facilities as meeting rooms and conference facilities. This centre is strategically located, with easy access to the airport and residential areas of the city, and would be ideal for firms in the electronics industry.